Two weeks ago, I was attending my daughter’s last soccer game of the season. I overheard one of the parents mention that the Basketball Clinic was about to start and they needed volunteers to help out. I’m always interested in getting my girls to try something new, since I did not have such an opportunity growing up. On our way home, I spoke to my wife about it and she told me that I wasn’t allowed to volunteer unless I attended the Protecting God’s Children seminar. She reminded me that I signed up for one this year and was not able to show up. Talk about motivation for the wrong reason. Because of my desire to help with the Basketball Clinic, I did my homework and signed up to attend the seminar at St. Philip the Apostle. On the day of the seminar, I was thinking to myself that I couldn’t wait to get through the seminar so I could volunteer. On November 30th I learned something new that raised my awareness and perhaps changed my life. The seminar was about how we can protect our children and elderly from people who are out to harm them. While watching the video of two men who were charged with molesting some boys and girls, I was really upset. The molesters looked normal and friendly. They often have great personalities and easily get along with everyone. I was taken aback by my assumption that molesters are strangers and have weird personalities. The video, together with the open-forum discussions, opened my eyes and heightened my awareness. There was so much I didn’t know going in, and I learned a lot coming out of the session. 1) Know the warning signs – be on the lookout for people who always want to be around children and feel comfortable around children only. Wanting to be physical when playing with the children. Giving gifts to children and letting them get away with things that parents don’t allow them to do. 2) Control access – make sure to do a background check on anyone who is working around children or elderly. It does not matter if they are volunteering or working. Make sure to conduct a face-to-face interview and ask situation questions and observe their reactions to your questions. Make sure to place PC/Laptops in an open area and supervise what your children are doing. 3) Monitor all programs – get to know what your children are watching and who are they talking to on the Internet. The Internet has its advantages and disadvantages and the Internet is the playground for predators. They can hide behind the user ID and lie about their age. Make sure your children do not stay behind with an adult without any company. Warn your children against accessing secluded areas and empty rooms by themselves. Talk to your children about the danger of going to places without the company of adults. 4) Be aware – this is the most important point. It was a misconception that the predators are strangers. Chances are it is someone you know and probably trusted to be with your children or elderly. As parents, you need to talk to your children and get to know what’s going on in their lives. Go beyond the questions of how are you doing? And, do you have homework? Sit down and eat dinner together and talk about their day. With the Internet age and availability of cell phones, our children are forgetting the important art of communication. We need to bring this skill back to the forefront and make it a priority to talk to them every day. Don’t wait until there is a problem before you start talking. Listen to your children and observe any change in behavior. When your children tell you something, do not reprimand them immediately. Try to understand them and talk to them. This way they will not hide things from you. Teach your children what to do when strangers or someone try to do something to them. 5) Communicate your concerns – if you observe that something is wrong at your workplace or in school, reach out to the people responsible for running the place and let them know your concerns. Cite examples and be specific if you have the information. Do not wait until someone gets hurt before you do something about it. Communication is the key to prevention, I urge you to read and pass this message along. Talk to your children and elderly and learn and understand them. Listening is the key to protecting them. Make sure to open all channel of communication and let your loved ones know that it is okay for them to talk to you about it. If you observe that something is not right, please raise the issue to the responsible parties. Your timely action might mean someone getting hurt or not. If you can stop one of these incidents from happening, you have done something great that saves someone from the grief of living with the image of being molested. Mobilize others by communicating and sharing your knowledge. The power is in your hands. If you know someone who has been molested, you should try to get them help immediately. 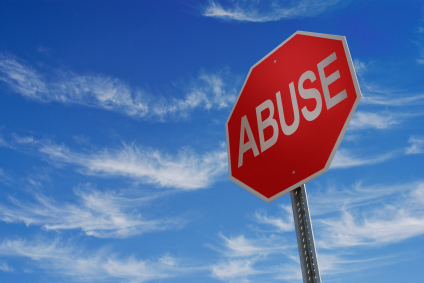 The repercussions of abuse can last well into adulthood with nightmares. People try to forget about it and go on because talking about it is so painful, but if it isn’t dealt with, it never goes away, builds, and can cause problems later. Do you part in communicating this and help prevent someone from being a victim. Communication and awareness are the best way of getting our message across. The more we talk about this the better we can prevent this from happening to anyone.